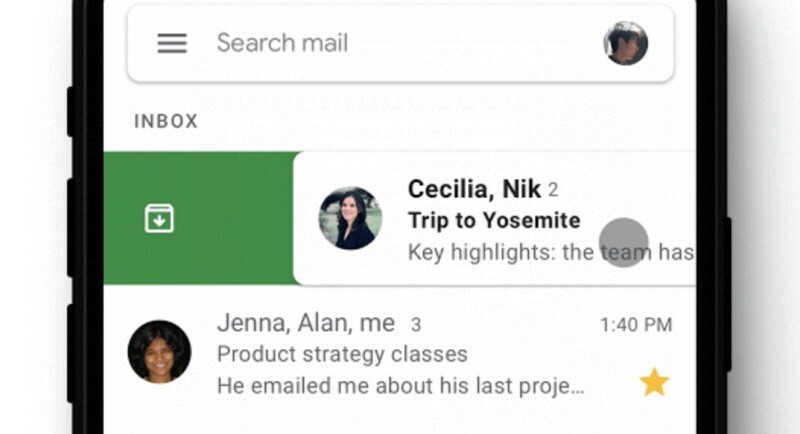 Last year, Gmail introduced the customizable swipe actions feature for Android users, allowing them to specify right and left swipe actions. Now, after around nine months, the company has announced that it’s finally bringing that feature to iOS. Google is now updating its Gmail app for iOS which will then allow you to personalize what happens when you swipe right on the email. You can set it to mark a message as read, move it to a folder or delete it outright, among other options. To customize the right swipe gesture on the email, you need to access the swipe configuration settings by going into the Gmail iOS app and navigating to Settings > Swipe actions, and choosing the swipe options that work best for you. Along with that, it will now also have an option allowing users to snooze the notifications for a message through either 3D Touch or a long press. While the new features are being rolled out, you may have to wait longer to use them. As per Google, the update is being rolled out in phases and could take over 15 days for everyone to see the feature live. Earlier this week, Google released AMP support for Gmail which is designed to make emails feel like an interactive webpage. With “dynamic emails”, users can perform actions like browse image carousels, RSVP to an event, or fill out a form without leaving their inbox.